I have launchbox at pretty much default settings so the games are sorted alphabetically. Everything was working fine for me until I deleted my arcade platform, which had like 3000 games in it. Before I did that changing platforms happened instantly, after deleting that huge platform it now takes several seconds to change platform. Is there a way I can reset launchbox? I would be happy to add all my games again if I can fix this lag! Edit: I should also add I've left launchbox to cache for like 2 days and scrolled through to make sure the images have cached. Try setting all the transition effects to none and if you are using Windows 10 disable fullscreen optimization, instructions on how to do that are in the first post of this thread. I have over 11,000 games in my setup and it runs butter smooth. Thanks, how do I change the transition effects for launchbox? I can't find them in the options. That's why I am confused, Bigbox runs fine, but Launchbox doesn't. Thanks though, that's useful to know I'm going to disable the transition effects just like I do on Android lol. 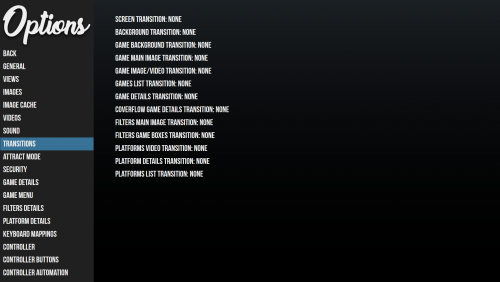 Yeah I have all my transitions off in Bigbox also. I have mine off for personal aesthetic preference reasons though, not for performance reasons. But it certainly can help performance, on my low end HTPC transition effects really hurt it but turning them off makes it run very good. I think I found something why themes may not working properly (in some cases). At least I hope . In this example I use Critical Zone V2 BlueBox BackgroundFanart Only theme. It's runs very very smooth on my arcade cab. On my (much better) this theme is having problems when the video's kick in. For example: I have 3 categories in Platform categories: Consoles, Handhelds and Playlists. Playlist does not have a video, the other 2 do. When I am at playlist and switch to one of the other, everything is smooth like butter. But when I'm on Consoles / Handhelds and the Video is playing, BB is becoming slower. HELP BIGBOX IS SLOW SCROLLING THROUGH GAMES AND SYSTEMS. My system is well above what is needed to run bigbox and I only have around 200 games. i5 6600k 24GB OF DDR4 RAM and a AMD FirePro W5000 which is equivalent to a GTX 960. 4GB of ram is allocated to BigBox. My Bigbox now takes forever to start. It used to play the startup video and start right after. Now, the startup video will play and the screen will stay black for another 20 secs before Bigbox loads. I'm assuming this was due to one of the latest updates. I haven't added any new systems in the last few months. . It used to load while the video played but now it seems to just wait for the video to play and then it proceeds to load. Anyone else experiencing something similar? If this is with a beta release post it under the beta release thread, if not then make a new post about it where it will be more likely to be seen. Yeah - same issue here. I have not added systems/games in several months since I know this will just make it worse. Really I don't even mess with BigBox anymore since it's almost unusable. 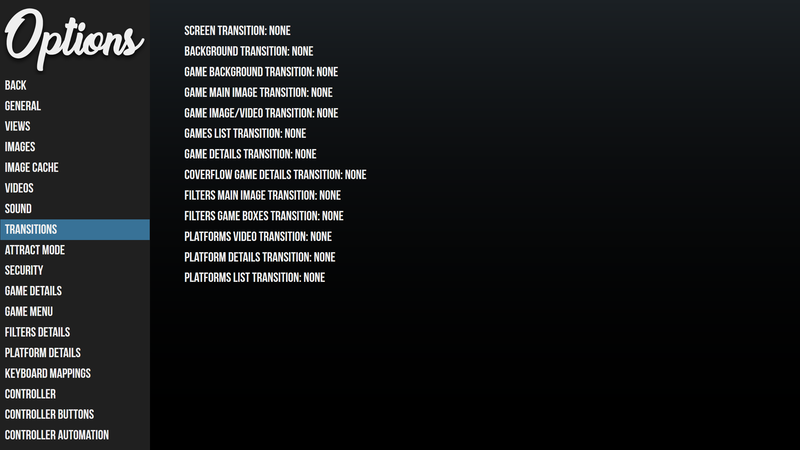 I've decided to instead focus my OCD on gething the systems I do have loaded setup with 100% playability and metadata. |Yeah - same issue here. I have not added systems/games in several months since I know this will just make it worse. Really I don't even mess with BigBox anymore since it's almost unusable. As I thinkle about this, maybe it makes sense to add a function that is a toggle switch for weather or not to load a game into BigBox this may make it somewhat more manageable as Jason continues to work on "various performance enhancements". This would allow me to "collect" from a completion stand point, but also allow me to have an eye candy setup that is functioning. Again, if this is with a beta release post any performance related issues in the beta release thread. If this is the latest stable release you should look into possible changes and problems with your system because the stable has been out for a while now with no reported problems with performance. I am also now locking this thread once again since it is not meant for a troubleshooting thread, it is more a guide to help people improve performance which is what the first post in this thread is.